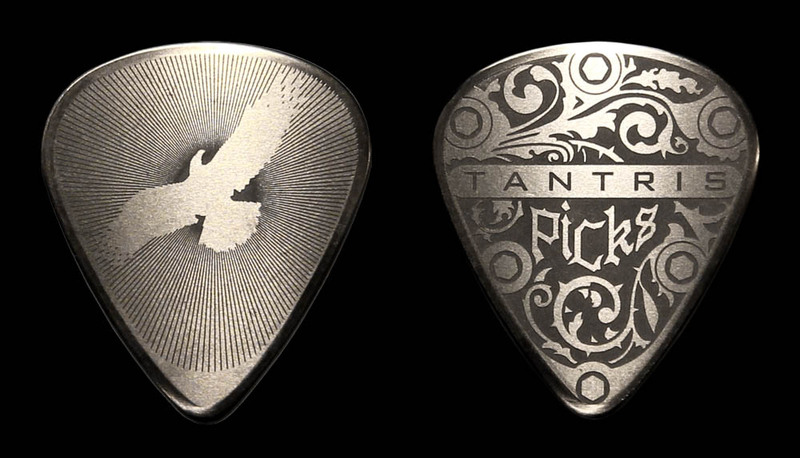 Tantris picks come in 3 classic styles, all deeply etched on both sides for secure grip. 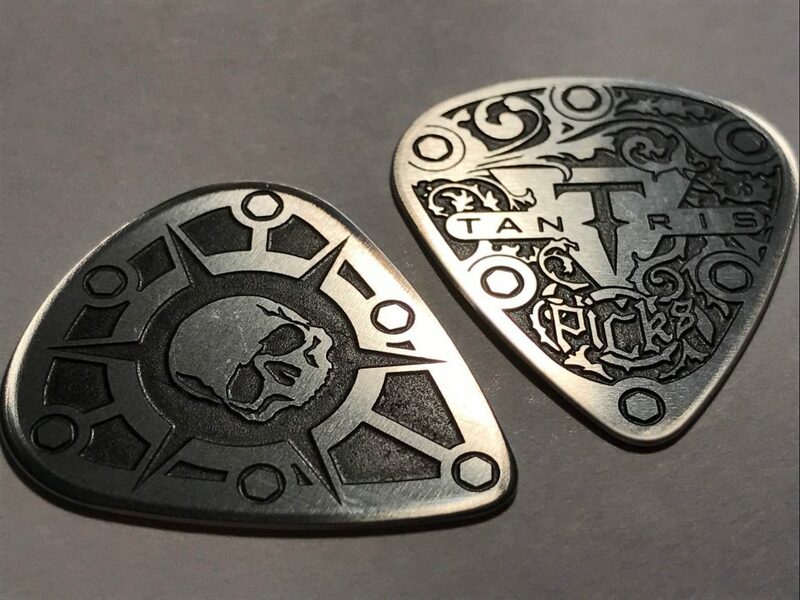 Each pick is individually hand-tooled from high quality .025″ stainless steel for hammering out heavy riffs and screaming solos with the solid, bright attack that only a heavy metal pick can deliver. 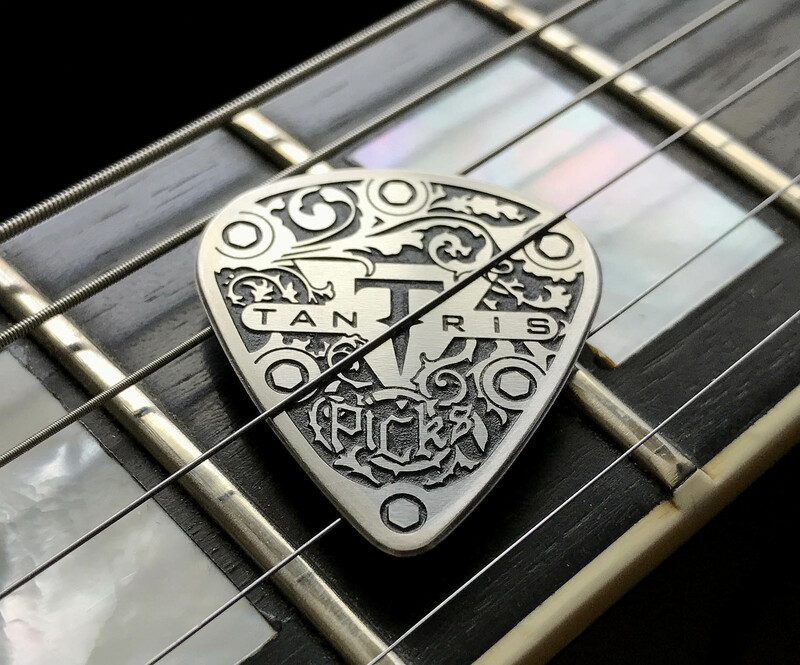 Since 2008 we have made high quality, hand-finished, stainless steel guitar picks featuring etched grips in various graphical designs; the first choice of professional musicians who perform and record with metal picks. 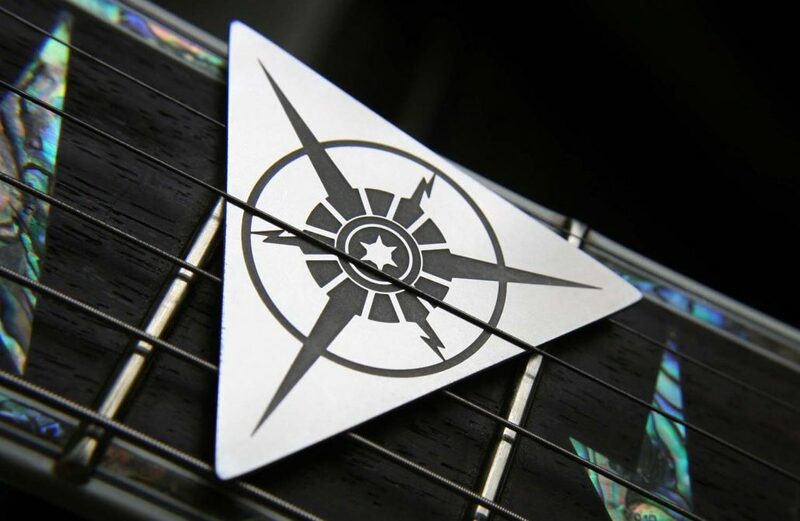 All our products are hand-finished in stainless steel. 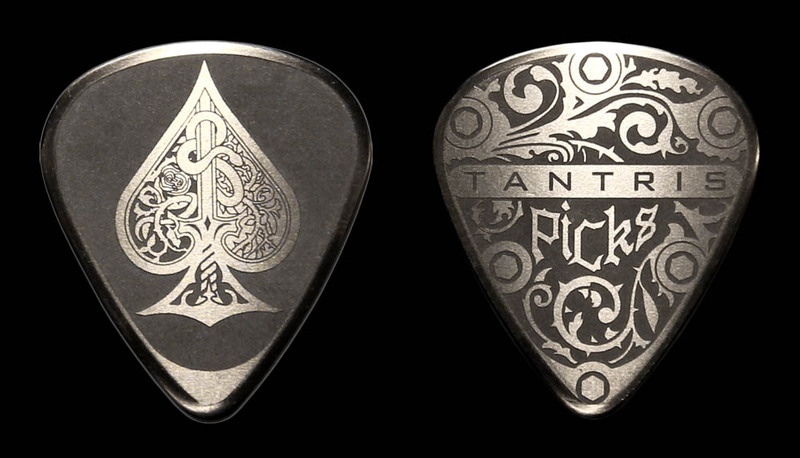 The Series 1 picks are a limited edition and feature etched designs on both sides to ensure maximum grip during performances. You won’t find anything like them except at our authorized dealers. 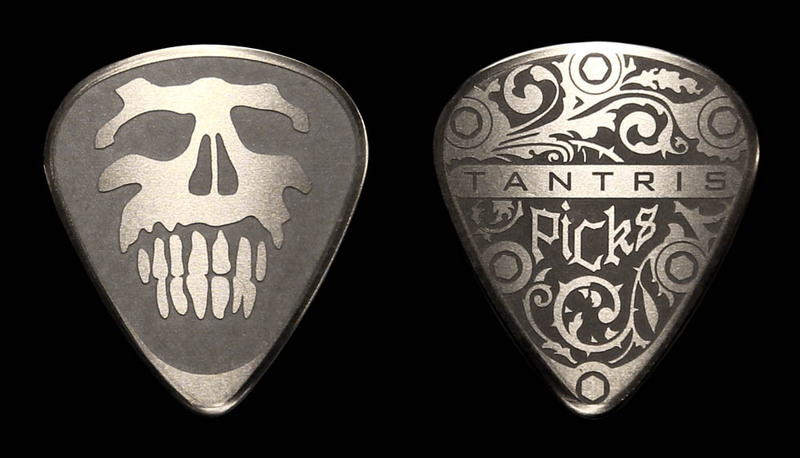 Series 2 picks now feature deeper, blackened etchings and are only available here on our website. 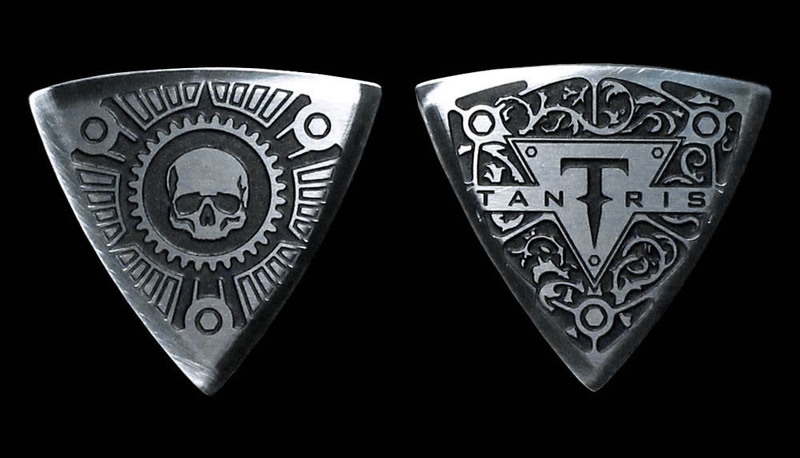 If you’re not absolutely satisfied with our product you may return it for a full refund. We take pride in our products and offer great support and service. Contact us if you have any questions.